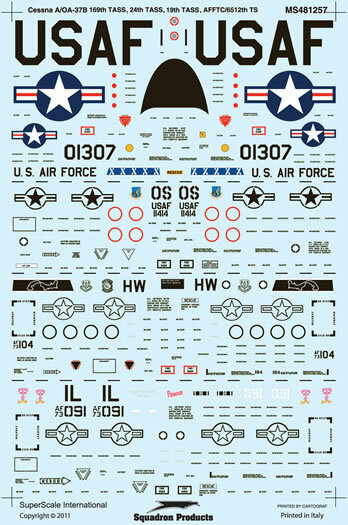 Decals for 2 Mustangs: P-51D-10-NA s/n 44-14822 'Sad Sack', pilot Major Merle Gilbertson of the 79th FS at Kingscliffe, 1944 and P-51D-5-NA, 'flying girl', pilot Lieutenant Walter 'Moon' Mullins of the 55th FS at Kingscliffe, 1944. 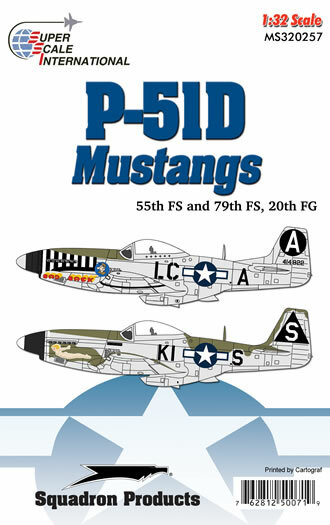 Includes national insignia, unit art, aircraft specific data, color profiles and painting notes. Recommended for Tamiya kits. 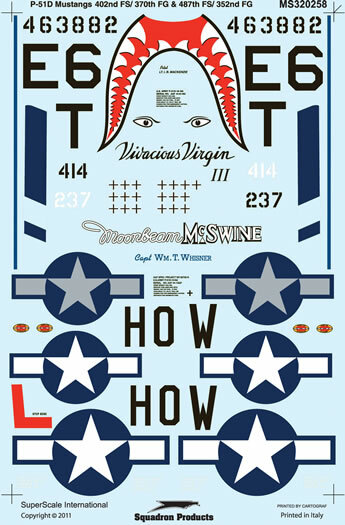 Decals for 2 Mustangs: P-51D-10-NA s/n 44-14237 'Moonbeam Mc Swine', pilot Captain William Whisner of the 487th FS, 352nd FG, September 1944 and P-51D-25-NA, 'Vivacious Virgin III', pilot Lieutenant Ian McKenzie of the 402nd FS, 370th FG, 1945. 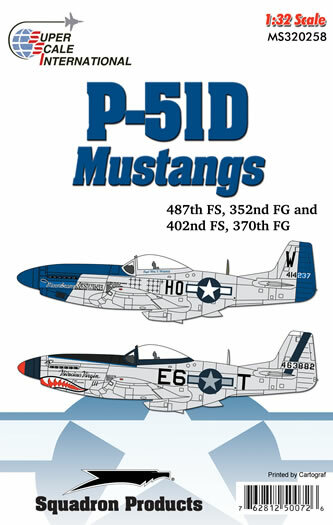 Includes national insignia, unit art, aircraft specific data, color profiles and painting notes. 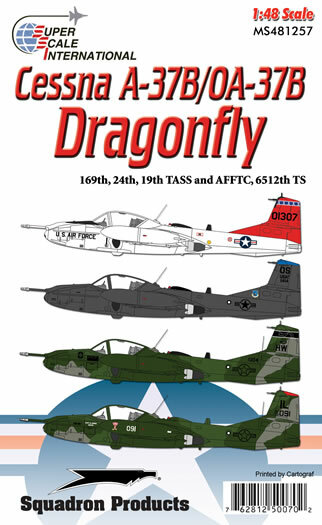 Decals for 4 Dragonflies: A-37B s/n 70-1310 of the Air Force Flight Test Center, 6510th TW at Edwards AFB, 1982; OA-37B s/n 71-1414 of the 19th TASS, 51st TFW at Osan, Korea, 1989; s/n 73-1104 of the 24th TASS,24th CW at Howard AFB, Panama, 1988 and OA-37B s/n 73-1091 of the 169th TASS, 182nd TASG, Illinois ANG, Peoria, June 1990. Includes national insignia, unit art, stencil data with detailed placement guide, color profiles, 4-view camouflage guide and general painting notes.